Basic economics will tell you that market crashes are inevitable and cyclical. And since we’re about a decade out from the last crash, it’s important that you as an investor prepare for a crash and protect your portfolio. 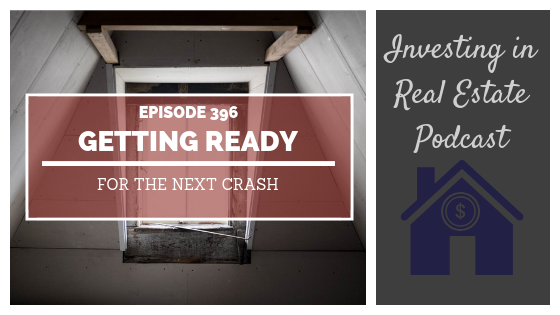 On this episode of Investing in Real Estate, I’m walking you through six simple steps you can implement in order to protect yourself from a crash. We’ll talk about the economics of your rental markets, how to handle debt and leveraging, and more! Six simple steps you can utilize to prepare for a market crash. If there is a nationwide bubble. The importance of knowing your rental markets. Why appraisers and banks aren’t a reliable source of market data. How to ensure you aren’t over leveraged. The maximum amount you should spend on a rental property. What to look for in a job market.